Integrating exercise into your daily routine can improve your lifestyle with regards to inactivity and obesity. It will also improve mood, relaxation, help you to sleep better, and be able to deal with everyday stresses more effectively. 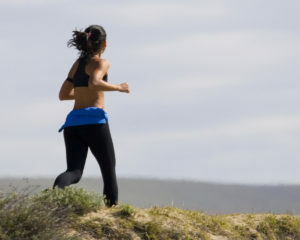 Some research indicates that regular aerobic exercise decreases depression and improves confidence and self-esteem. Certain hormones called ‘endorphins’ released into the body from the brain while exercising are deemed responsible for the mental health benefits. Exercising the major muscles enhances muscle strength through to old age, keeping limbs strong and bodies flexible. This dramatically reduces the risk of falls, hip fractures and improves overall bone health. Vigorous exercise increases deep breathing, and a good respiratory function is essential for sound health. Impaired glucose tolerance and other aspects of diabetes often result in the individual being overweight and inactive, and having high blood pressure and lipids (fats). Exercise, as part of a lifestyle change, has been shown to reduce the risk of developing Type 2 diabetes. Gentle and sustained exercises such as walking and cycling are good for the heart and stimulate good blood circulation. This changes the proportions of high and low-density lipoproteins in the bloodstream and helps to reduce atherosclerosis, coronary thrombosis, blood pressure. In addition, levels of stress which induce coronary heart disease (CHD), the single most-common cause of death, can be reduced. There are a number of biological benefits in the body following physical activity, a number of which are believed to be responsible for reduced cancer rates. Lowering the levels of certain hormones (including insulin and oestrogen) and growth factors are believed to impact both colon and breast cancer development. The generalized improvement of the immune system and reduction of inflammatory responses are also believed to play a role.